There are few treats more appealing than maple taffy on a plain old popsicle stick. Made by pouring hot maple syrup on half-melted snow, maple taffy is just one of the countless sweets that can be made from the sap of (arguably) our most Canadian tree: the sugar maple. 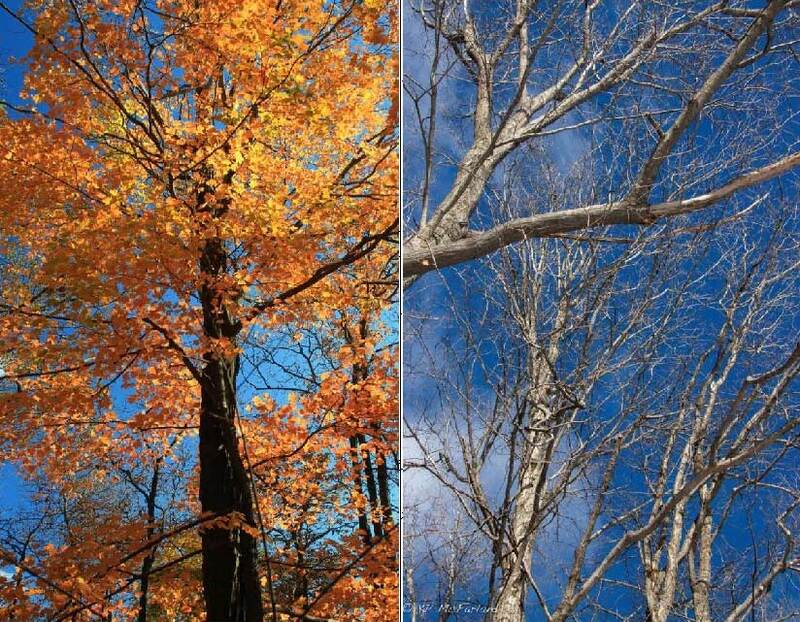 The season for “sugaring off” – the process of taking freshly running sap from maples and boiling it down into amber maple syrup – starts anywhere from late winter to early spring. The natural sugars produced by the tree as it wakes up from its winter sleep are concentrated as the water boils off. All trees produce sap, but with the exception of white birch, none come close to the popularity of maples for producing syrup. Even if you only have a dozen or so maple trees, you can experiment with making your own syrup right at home. A quick Google search will reveal plenty of do-it-yourself kits and instructions – generally for collecting the sap the old fashioned way: by sticking a tap into a mature maple tree and hanging a bucket off its end. According to the Ontario Maple Syrup Producers Association, you’ll need 40 litres of sap to make 1 litre of maple syrup – a truly “slow food”! If you’d rather skip the hard work and cut straight to a plate of syrup-soaked pancakes, head to one of Muskoka’s local syrup producers, or look for their products in stores. 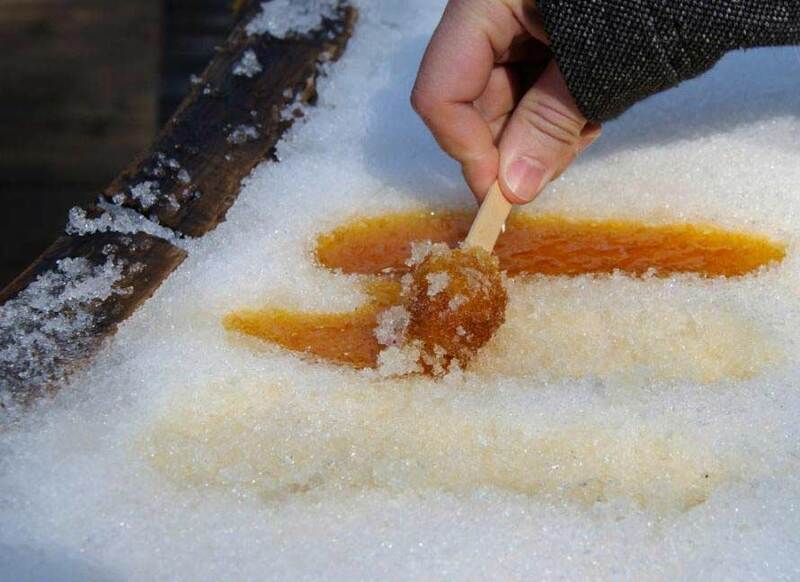 Many syrup producers will hold sugaring-off events during late February and March that the public is invited to attend. 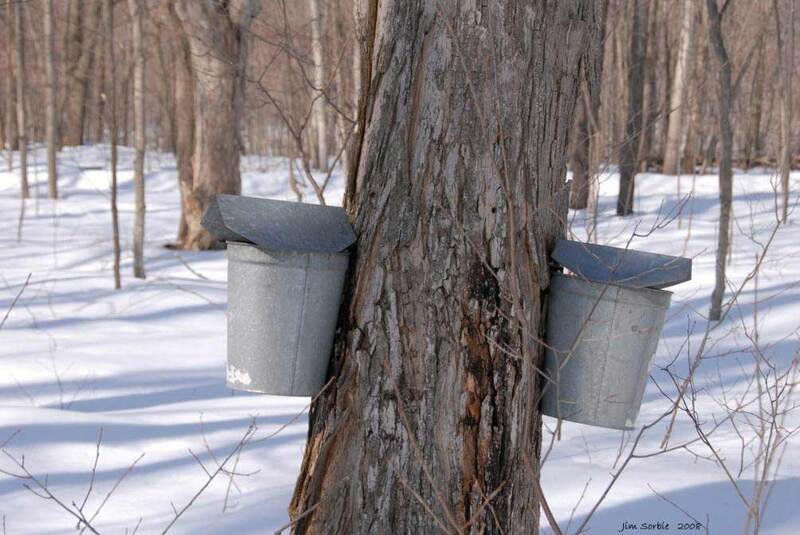 Check out the Ontario Maple Syrup Producers Association website for more local sugar bushes. Happy tapping!